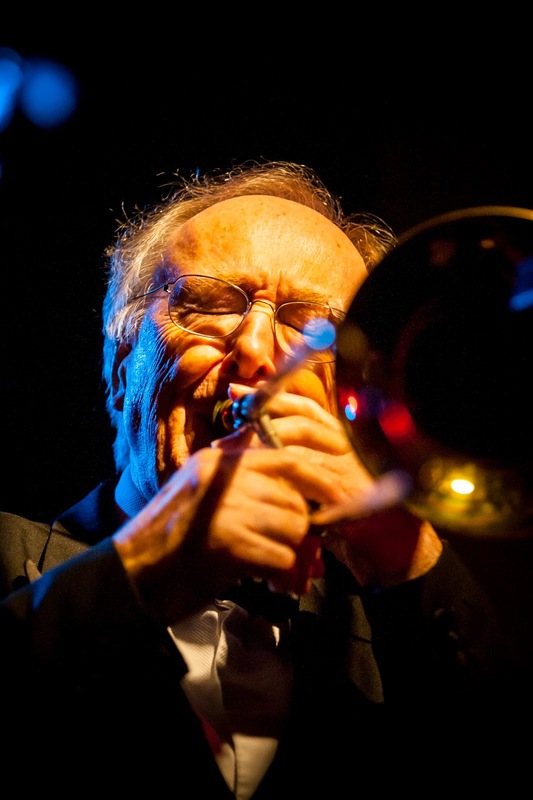 Chris Barber pauses to think why, in his sixty-seven years as a band leader, he has never played Cadogan Hall in SW1 before and his joking answer – that it’s probably too small – is no intended slight to the home of the Royal Philharmonic Orchestra. In fact, there’s a grain of truth to it. The Barber Band, which became, alongside Kenny Ball, Acker Bilk and Humphrey Lyttelton’s bands, one of the biggest draws during the 1950s, made a very quick progression from playing jazz clubs around London to appearing at venues such as the Royal Festival Hall and the Royal Albert Hall, both of which have considerably larger capacities than the Cadogan Hall’s 950 seats. How they did this was down to professionalism, playing New Orleans music with skill and detail and, says the trombonist, canny awareness of the Lord’s Day Observance Act. Working seven nights a week gave the band professional status, although Barber concedes that since they hadn’t been playing their instruments for very long in the early days, they might not have been exactly faultless. And being professional musicians, whereas most of the other bands on the scene had day jobs, they could accept bookings that involved a lot of travelling and overnight stays – and they got all the gigs they could use. Thus they were able to build a following all over the UK which remains loyal to this day. How the now eighty-six years old Barber has subsequently kept a band going for all this time, latterly leading the eleven-piece BIG Chris Barber Band that will appear at Cadogan Hall on September 9, rather than the original sextet and his eight-piece Jazz & Blues Band, he can’t say. As well as Barber’s favourite jazz repertoire – the New Orleans classics of his heroes King Oliver and Louis Armstrong and Duke Ellington items from the late 1920s – the Cadogan Hall concert will honour some of the blues greats that Barber was responsible for introducing to British audiences in the 1950s and early 1960s. Bringing musicians such as Muddy Waters, Howlin' Wolf, Big Bill Broonzy, and Sister Rosetta Tharpe over from the U.S. to tour with the Barber band made Barber himself a hero to John Mayall, Eric Clapton, Van Morrison, and the Rolling Stones, among others, and made him a key figure not just in the British blues boom of the 1960s but also in the development of British pop music thereafter. Having also had the godfather of British blues, Alexis Korner, in his band at one point as well as giving another band member, Lonnie Donegan the platform to start the skiffle boom through his interval slots during the band’s concerts in the mid-1950s, Chris Barber has a history that goes well beyond the jazz world and earned him an OBE for services to music in 1991.